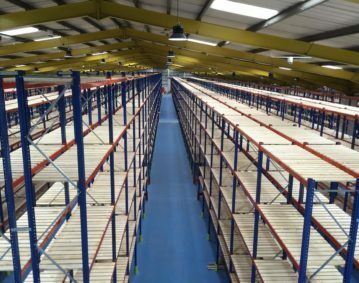 If your storage requirements are high density, pre determined loads picked by any truck, then push back racking is the best solution. 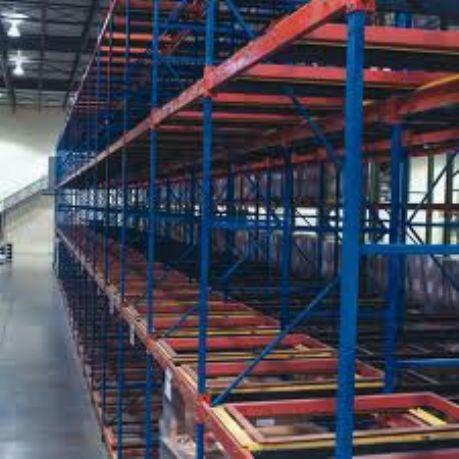 Push back racking is a type of live storage with pallets being stored two, three or four deep. Using a forklift truck pallets are loaded and unloaded from one aisle, by the use of a telescopic trolley system. The palletised load is deposited on the top trolley. When the next pallet is inserted, this loaded trolley is pushed back into the storage lane. This process is repeated to a depth of up to four pallets. When a pallet is withdrawn from a lane, the remaining pallets stored behind are automatically fed forward under the force of gravity. Selection is ‘first-in then last-out’ (FILO) and with each product having a dedicated lane. 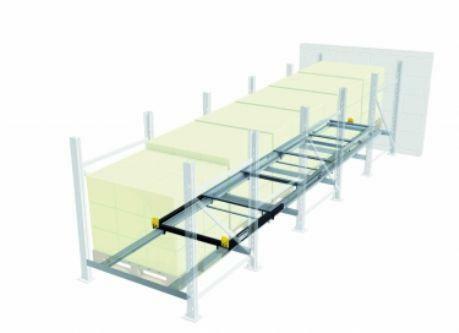 Dynamic push-back racking is particularly useful in marshaling areas, for bulk storage and handling operations. Push back racking offer an excellent solution to those with limited space. Those looking for a fast dispatch pallet holding system. Pallets can be placed during a picking or production cycle for fast retrieval and dispatch to waiting wagons. 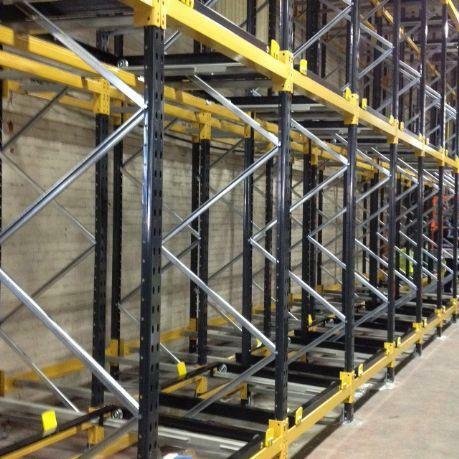 To discuss if Push Back Racking is the right solution call us on 01765 640 160.